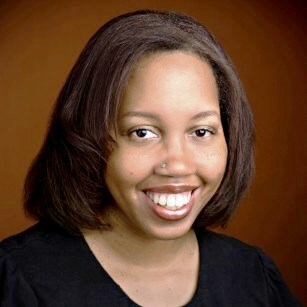 Playwright Christina Ham, whose "Four Women: Nina Simone" recently closed after a sold-out premiere at Park Square Theatre and whose new play, "Scapegoat," will be produced at Pillsbury House Theatre in May, has won the prestigious Mellon playwriting residency. The award, which covers salary and health insurance while supplying funds for artistic development funds for three years, also embeds Ham with Pillsbury House as her home theater. Ham is part of a national of cohort of nine playwright-theater matches. Other winners include Taylor Mac, who is paired with New York's HERE Art Center, and Kirsten Greenidge, paired with Company One in Boston. Ham also is one of three Minnesota playwrights announced as winners. In 2012, the inaugural class of the Mellon, playwrights Aditi Brennan Kapil, who was paired with Mixed Blood Theatre, and Kira Obolensky (Ten Thousand Things), also won. Their awards have been renewed for three more years. In all, the Mellon is spending $5.6 million on the program, which is administered by HowlRound, a theater commons located Emerson College and founded by Polly Carl, former head of the Playwrights' Center. Ham's residency grant is $197,000. She intends to write two new plays that Pillsbury House will produce in that period. A California native who also has been active at the Playwrights' Center, Ham serves on the artistic staff of Pillsbury House, where she has taught drama and curated productions.